BRASILIA, Feb 6 2017 (IPS) - Josefina Stubbs, from the Dominican Republic, may become the first woman to preside over the International Fund for Agricultural Development (IFAD), which is dedicated to eradicating rural poverty. IFAD is a United Nations agency created in 1977 to invest in poor farmers in developing countries, who represent three-quarters of the world’s poor and undernourished. Stubbs has accumulated 35 years of rural development experience, most recently in IFAD, as Regional Director of the Latin America and the Caribbean Division (2008-2014) and later as Associate Vice-President of the Strategy and Knowledge Department, before being nominated for president of IFAD by her country. She holds a BA in Psychology and Master’s degrees in Sociology, Political Science and International Development, and has also worked for Oxfam and the World Bank. The elections will take place on Feb. 14-15 during the IFAD annual meeting at the agency’s Rome headquarters. 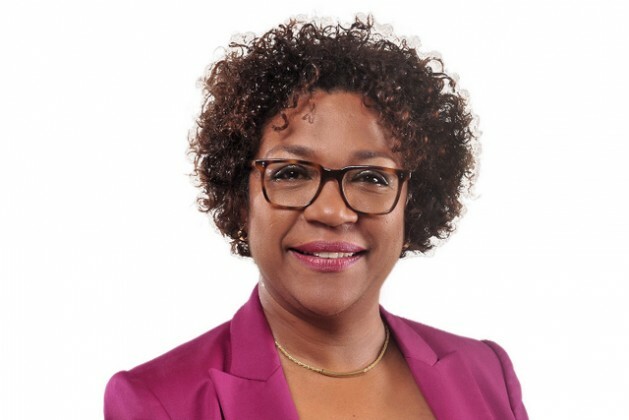 In her favour, Stubbs led, as vice president, the process of designing the agency’s Strategic Framework 2016-2025, besides her in-depth knowledge of how IFAD functions. In its 40 years of experience, IFAD has earmarked 18.4 billion dollars for rural development projects that have benefited a total of 464 million persons. And the Fund’s soft loans and donations mobilised far greater sums contributed by governments and other national sources, as co-financing. Boosting the crop yields of small farmers, protecting the environment, training poor peasant farmers, and empowering young people and women will be her priorities if she is elected president of IFAD. She described her ideas and plans in this interview with IPS during her visit to Brasilia in the first week of February. IPS: What direction and priorities will you adopt as president of IFAD if you are elected? JOSEFINA STUBBS: I will dedicate myself to working with the governments of the IFAD member countries, in particular with low- and middle- income countries, so they can advance towards fulfilling the Agenda 2030 in the rural sector and achieving Sustainable Development, with two goals: food security and poverty reduction. Implementing the Agenda 2030 in the countryside, supporting women and young people, and protecting the environment will be vital for the future of the rural sector. This requires increasing agricultural and non-farm productivity, to produce more and better, in order to supply a continually growing population, while stimulating small-scale farming to create more employment, services and income. A vibrant rural sector is needed to keep people in the countryside, especially the young. We have to support women more strongly in the productive area, and in the processing of agricultural products as well, encouraging the creation of companies to amplify the benefits. This way new inclusive production chains are generated, and their active involvement in the market is bolstered. Organising farmers is key to boosting the volumes of production and trade, and to improving the quality standards of the products which reach increasingly demanding consumers. Public policies are the umbrella under which IFAD can work more closely with governments. One example is Brazil, where we work with the national, state and municipal governments in policies to expand markets and transfer technologies. IFAD’s activities in Brazil were limited eight years ago, but now we have agreements with all nine states of Brazil’s Northeast region, providing financial support and technical assistance. This is an experience that should be strengthened and taken to other countries. IPS: And is any region going to be given priority, Africa for example? JS: IFAD’s priority lies where the rural poor are, training them and governments in the search for solutions. In Africa we have provided many resources and we have to keep doing so. The African economy is strongly tied to the rural sector, both because of the employment and because the urban and peri-urban markets demand more quality food. Africa has IFAD’s support because of its poverty rate, but so do Asian countries such as India, Vietnam, and Cambodia. IPS: For the first time, three women are running for the presidency of IFAD. Researchers say that resources achieve more efficient results against poverty and hunger if they are given to women. What should IFAD do for rural women, who make up over 60 per cent of the agricultural workforce in regions of the South and are victims of inequality? JS: Governments must be encouraged to ensure a greater presence of women in all of the activities financed by the Fund. But we must do it in an innovative way, breaking down traditional barriers to women’s access to public and private goods, loans, technology and the markets. We need to create new instruments specifically adapted to women’s lives, their needs, so that they can be useful to them. It is absolutely urgent to increase the participation of women and their role in the decision-making process about the investments that are made in their communities, and for them to be active subjects in the implementation of these investments. IPS: But technical and scientific development has gone into large-scale agricultural production. Would it be suitable for poor women in rural areas? JS: In agriculture, Brazil has demonstrated coexistence between large-scale and small-scale farmers. It already has new machinery for small-scale producers, such as tractors and harvesters, as well as irrigation. The progress made by the Brazilian Agricultural Research Corporation (Embrapa) in improving the crops of small farmers is extraordinary. Brazil has developed important technologies for other countries. It has also made headway with productive infrastructure in communities. An example is machinery and refrigerated trucks for goat’s milk, suited for narrow roads. We need technologies adapted to small farms. Food security depends on small-scale producers. In Africa 60 per cent of the basic food basket of the middle-class comes from local small-scale farmers. If we don’t increase this production, we lose the opportunity to promote food security in these countries. This has been proven. In the Dominican Republic, 80 per cent of basic products come from small-scale producers. Increasing national productive capacity brings more benefits than spending on imports. It is a battle won which we have to make visible. IPS: Does the United Nations Food and Agriculture Organisation (FAO) share this view? JS: The work of the three agencies based in Rome – IFAD, FAO and the World Food Programme (WFP) – must create synergy. They have a key role in supporting governments in meeting the goals of Agenda 2030 in the rural sector. With the specific mission of each agency, we must increase our impact – in investment for the rural poor through IFAD, by strengthening national and global policies that facilitate the achievement of food security and poverty reduction with the work carried out by FAO, and by reinforcinge the humanitarian responses in the rural sector, with the WPF has been doing for decades. IPS: With regard to the environment, how can IFAD and small-scale farmers contribute to protecting nature and the climate? JS: Climate change issues and the adequate management of environmental resources have to be seen in a broader perspective in the rural sector. I will keep defending ‘climate-smart agriculture’ with eco-friendly practices that also generate income. But in addition, we have to pay attention to the management of environmental resources such as water, energy, tourism, or agro-forestry, which also generate economic and environmental benefits for the rural and urban sectors. We must seek to empower communities, particularly indigenous communities, so they become effective and efficient managers of natural resources. IPS: Water is another growing environmental problem. JS: First of all, we have to safeguard our basins, reforest, preserve. Then we have to change the irrigation systems, replace flood irrigation with new techniques. Sometimes the solution is simple. Rainwater collection, such as in the Northeast of Brazil, is an example. Coming up with solutions implies listening to the local population, not imposing approaches to development that are not what people need. IPS: How will IFAD keep up or accelerate poverty reduction, with the goal of eradicating it by 2030? JS: By the deadline set for the Millennium Development Goals, one billion people had been lifted out of poverty. Now the challenge is to keep them afloat, but we still have one billion poor people in the world. We have to sustain our achievements and expand the results. We have to combine conditional cash transfer programmes with an increase in productivity, support for small-scale producers in their production and services companies, support for the expansion of access to technologies as an instrument to expand the benefits of development. We have to create a rural sector where the youth see a future and want to stay.